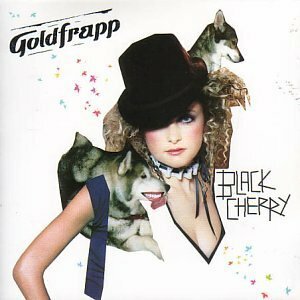 Indie, Rock And Other Great Music: Dark Cherry: 10 Years To Goldfrapp's "Black Cherry"
10 years ago, on 23 of April, 2003, Goldfrapp released their sophomore album called Black Cherry, which incorporated Glam-Rock and Synth-pop with slight dance beats. I remember that I've looked for this album while touring in Barcelona, hearing it in the hired apartment we've got there. I fell in love with the vocals of Alison Goldfrapp and the production of Will Gregory, so I couldn't believe that they're only two. Listening to this album nowdays is still pleasing and relaxing as it was then in Barcelona. Some songs, especially Black Cherry and Forever are still exciting and thrilling after all these years. So let's celebrate this album with five tracks, which stayed in my ears.